Want to get out of town this weekend? Save money with our last minute deals. 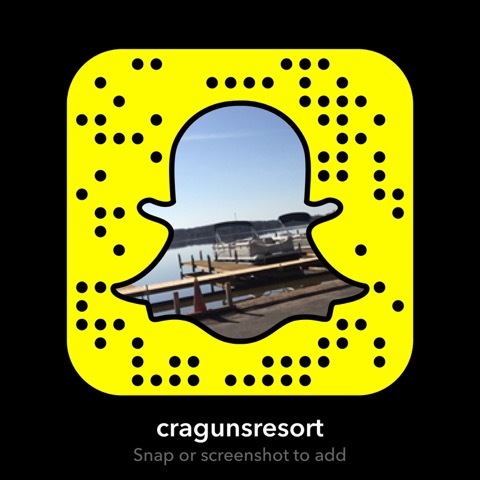 Send us your favorite photos and “Fun Memories From Cragun’s.” Great prizes! We’re celebrating 79 years of making friends and vacation memories with our biggest vacation giveaway! We specialize in making vacation memories that last a lifetime. Cragun’s is the largest year-round resort in Brainerd, MN offering more of everything for your vacation – at the best value! What can you enjoy while at Cragun’s, aside from the mile-long sandy beaches of Gull Lake? Check out our activities sure to excite both young and young-at-heart guests. Cragun’s Resort in Brainerd Minnesota has it all, including being named “Property of the Year” by Minnesota Innkeepers and a “Top Ten Resort” by Midwest Living. Along with the excellent Brainerd location on Gull Lake, Cragun’s offers some of the finest lakeside lodging options in Minnesota. Cragun’s Resort hosts groups of all sizes in a variety of comfortable accommodations including lakeside cabins, hotel-style rooms and cabins for large groups. Cragun’s has a variety of activities available for our guests all year-round! In the warmer months, visit our marina on Gull Lake to enjoy water sports like boating, water skiing, fishing and swimming. New this year is our Gull Lake Cruises‘ magnificent yacht with two bars, two levels and one unforgettable experience. Cragun’s also offers on-land activities like snowmobiling, hiking, biking, cross country skiing, tennis and sports at the indoor Sports Centre. Cragun’s guests can also relax with a challenging game of golf on our premier, 54 hole Brainerd golf course rated as the “Midwest’s #1 Golf Course”. Plan your Minnesota wedding, family reunion or conference at Cragun’s Resort! Contact us today for details. Escape on the majestic waters of Gull Lake aboard Gull Lake Cruises’ magnificent luxury yacht, the North Star. 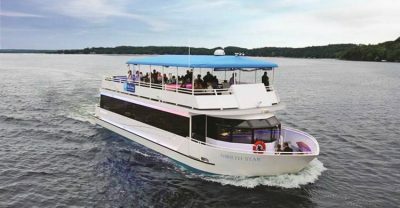 Offering public cruises, private and group events.